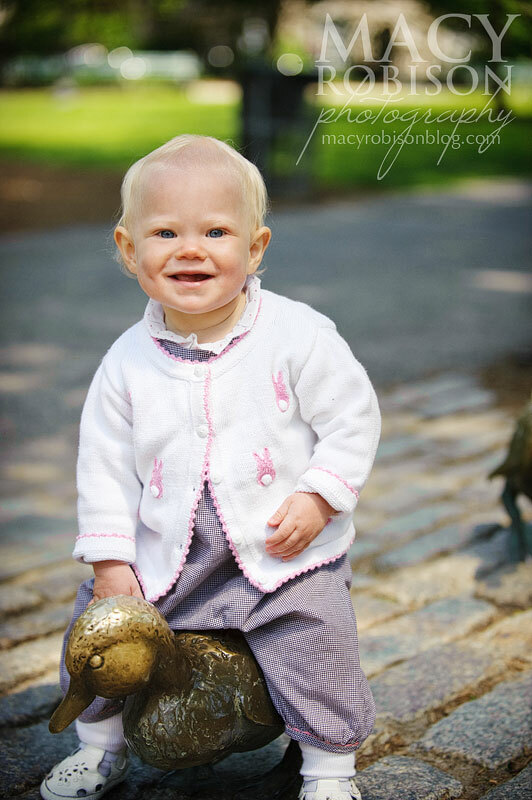 I finished up my morning at Boston Public Garden with sweet little V. and her mom and dad. They are such a sweet little family, and were remarkably calm considering that they were in the middle of moving to their new house while we were in the middle of the photo shoot! V. loved the ducks and loved exploring the garden. I just love watching one-year-olds figure the world out. It's such fun.